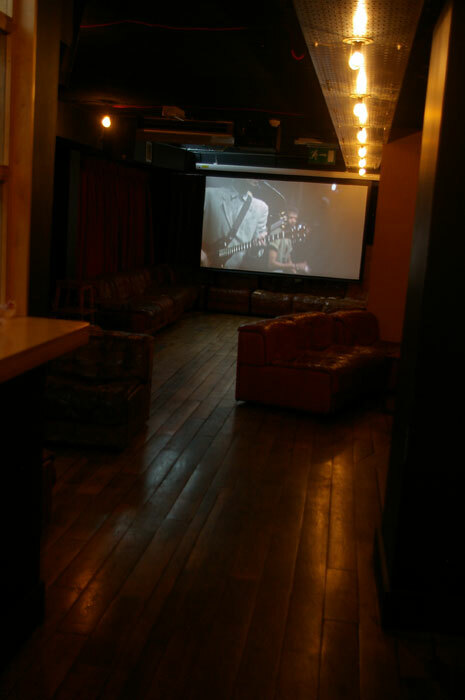 When Edward Mason of Mason & Taylor opened his first London pub site — the award-winning Duke of Wellington in Dalston — the emphasis was as much on its cinema club activities as its real ales. 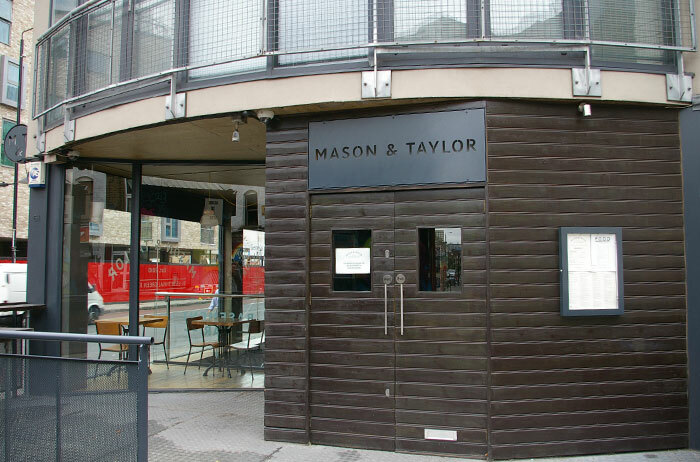 But Mason wanted a unit which was free of tie, and when the Underdog Group put the landmark Green & Red Mexican-themed bar/club in Shoreditch on the market, it fitted the operators' requirement. 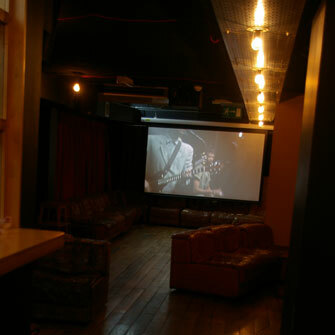 In its previous guise, The Sound Division Group had carried out an advanced sound and lighting system installation in the 220-capacity basement venue two years ago. 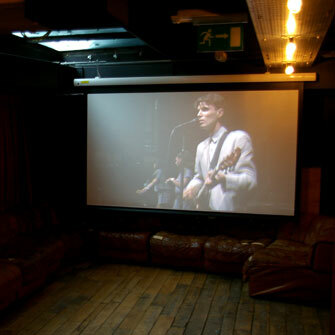 The new operator wanted to reconfigure the basement and add a large projection screen system. Having inherited the previous owners’ preferred vendor list, Mason was soon discussing his options with Sound Division Group MD David Graham. "It made perfect sense to go on personal recommendation — and I’m pleased that I did," he said. With the addition of specialist ales (including American craft beers), the owner was faced with re-siting some of the existing Martin Audio loudspeakers in order to accommodate the installation of a new cellar around the reworked bar. The DJ console (with its industry-standard Pioneer CDJs) remains, but an electric drop-down screen has been added by Sound Division among the 'shabby chic', low-slung soft furnishing and drapes at the end of the room. This has been designed equally for private corporate clients, wishing to give VGA Powerpoint presentations, as audiences for the Sunday film nights, when the content will flip to a higher-resolution HD source. Responding to the client’s requirements, Sound Division specified an 8ft wide 16:9 retractable projection screen in combination with a ceiling-mounted Optoma EH1020 3500 ANSI lumens native 1080p HD projector. 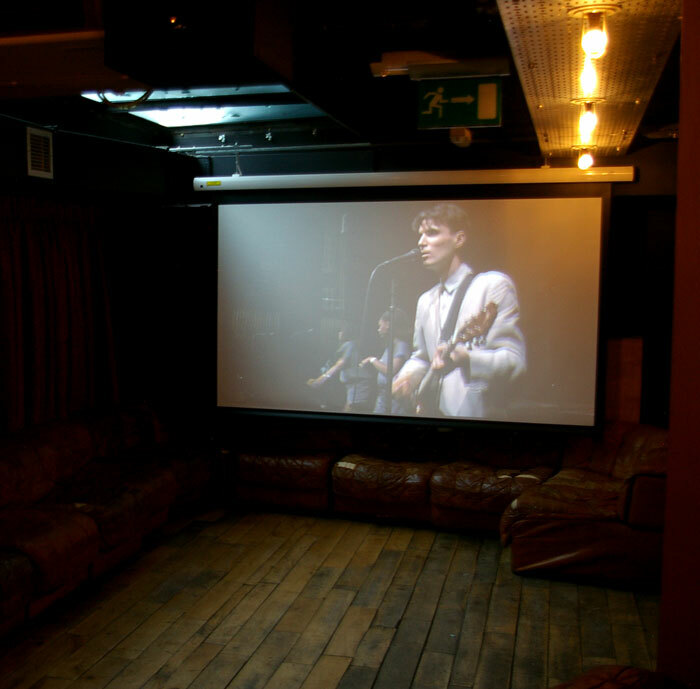 To maximise the rig's high-definition capability, Sound Division also installed a Panasonic DMP-BD65 Blu-ray Player, with a local VGA plug-in point and Kramer source switching. This flexible approach immediately proved its worth with both the corporate and music industry communities — as the new-look venue was soon hosting a publisher's function and a new band video launch. 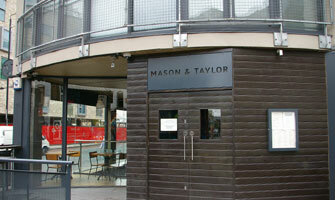 At the same time, Mason & Taylor will continue to present DJs on weekend nights, when they have a 2am late license. "We're delighted with the work Sound Division have carried out," said Edward Mason. "David's team have reconfigured the basement very cost-effectively and been extremely flexible in the way they worked onsite, while the drop down screen will provide us with a number of possibilities."